LUCY BURDETTE: My first trip to Paris and Provence was during my junior year in college. I have always regretted that I felt too homesick and shy to really take advantage of the experience. So I embrace any chance for a do-over. 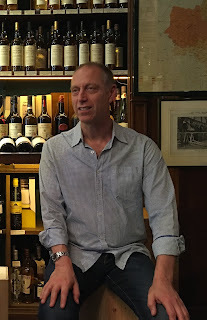 And last week, I was very fortunate to travel to France for a trip focusing on food in Paris and Bordeaux. 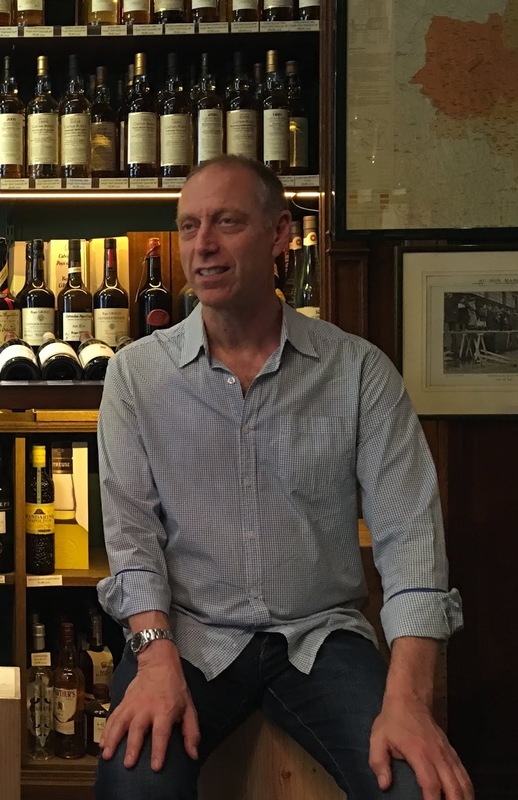 The week was curated and led by David Lebovitz, who writes a blog about food in Paris and also tries to translate the unusual customs of France for Americans. For many years David was the pastry chef at Chez Panisse, the restaurant founded by Alice Waters in Berkeley, CA. So he knows food. My friend Carol and I decided we better get to Paris a couple days early so we’d be acclimated to the time change and not miss a trick. We spent those two days walking the city and also visited two museums that I had not been to before – the Picasso museum and the Musee d’Orsay. It was utterly astonishing to stand in front of works of art in person that I had only seen in books. 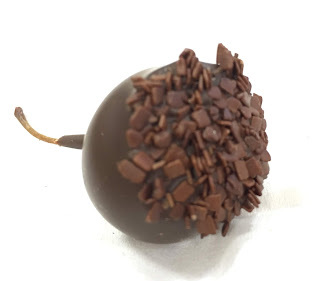 For the next five days, we made the rounds of chocolatiers, bakers, grocers, sommeliers, and cheese mongers in Paris and later in the week, Bordeaux. I won’t describe everything I saw and learned – you’d be here until next Friday with eyes glazed over. But I’ll show you some of the highlights, and yes I brought enough chocolate home for all of you! This is one of the more famous bakeries in Paris, called Poilaine. 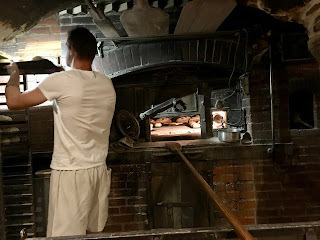 We were invited downstairs to see the bread baking in a massive wood-fired oven that’s been in service since 1932. Next, on to visit artisanal chocolatier, Jean Charles Rochoux, famous for his chocolate figurines. That night, more food and wine: Here was the opening salvo of a six-course tasting dinner at Verjus. 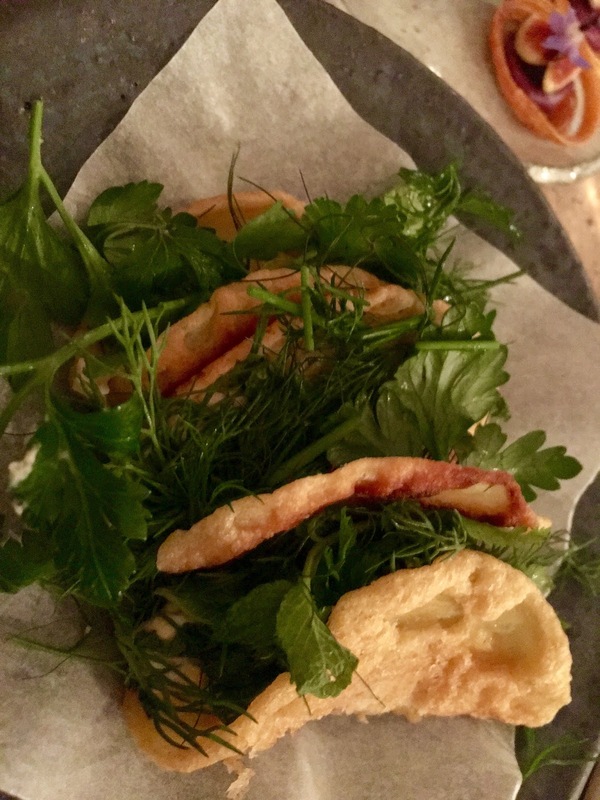 I could’ve made a meal out of the appetizers, including this exquisite chickpea pancake stuffed with fresh herbs. You can see it was a good thing we walked a lot, because the next morning brought more chocolate demonstrations at Fouquet. Lunch involved a wine tasting and tapas at O Chateau. We learned that wine and food are deeply affected by terroir, meaning the exact climate and soil where the beans or wheat or grapes are grown. I also made a lovely new friend who welcomed me to her houseboat on the Seine...maybe Hayley Snow will visit? The next morning, we took the high-speed train to Bordeaux... where we joined Jean-Pierre Moulle, executive chef at Chez Panisse for thirty years. First we enjoyed the chocolates made at Saunion. This woman adored her job! Then we were invited to dinner at a country farmhouse, hosted by Jean-Pierre and his lovely wife, Denise. I wondered what made the potatoes so exquisite. The answer, they are simmered in duck fat. During our last day, we went to the farmer's market, where we watched Jean-Pierre choose ingredients for our lunch. The lunch took place at Chateau La Louviere, belonging to Denise's family, still actively producing wine. France under any circumstance feels wondrous to me, but meeting these artisans, including David, and hearing about their love for food and their work was very, very special. What an amazing trip, Lucy! I’ll bet you could have spent days in the museums. The pictures are lovely, the food looks scrumptious, the chocolate just divine, the scenery exquisite. Thanks for sharing all of it with us . . . . It was amazing Joan! Paris is so rich in museums--we knew we couldn't even begin to make the rounds so we chose only these two. I feel like I've gained ten pounds just reading your post. It sounds like a wonderful trip. I'll be waiting for those chocolates to arrive in the mail! Thanks Marla, any day now they should arrive! Sounds like a heavenly research trip, Lucy. Way to rack up those tax deductions! I can't wait to see how you use all your experiences, either with Haley, or with a whole new cast of characters. I'm sure all of us readers will reap the benefits for years to come. I know exactly what you mean when you talk about the astonishment of seeing a work of art "in person" when you've known it all your life. The first piece of art I can remember from toddlerhood is Van Gogh's "Starry Night." My mother had a reproduction hanging in our living room. When I was in college I went to New York and visited the Museum of Modern Art. I decided to start at the top and work my way down, so I took the stairs, and when I reached that final landing I turned to my left into the first gallery and There. It. Was. So amazing to see the thick brush strokes, and the little areas of blank canvas at the edges. I'm not sure I even realized, going into the museum, that "Starry Night" was part of MOMA's collection. I could have gone home happy right then, but stuck around for the Monet "Waterlilies" and Picasso's "Guernica," which was still in New York at the time. When I finally did go back to the hotel, I felt a little drunk from all the amazement. Yes that's it exactly Gigi, you feel drunk after seeing one of these paintings! What a great experience you had... I had studied Guernica in college, and it was mesmerizing to see that in person years ago in Madrid. When I went to Paris the very first time and saw the Renoirs at the Jeu de Paume, I cried. I'd seen the reproductions all my life and they do not prepare you at all for the real thing. The paintings are so alive you practically expect them to jump off the wall. One of the coolest experiences I had was to see both the Monet studies of the Cathedral in Rouen, and the Cathedral itself. I've not been to Giverney, but I suspect it would have that same effect. In Paris, even the street signs and the wrought iron balconies--all different--are art. The Pont Royal, as well. I wish I'd been along! What gorgeous pictures and stories to go with them, Lucy. My stomach is growling and drool is accumulating. Must take note of that tour name. Thanks for sharing. What a fabulous trip! Thanks for the 'tasting menu', Lucy! Wow! That was fun! Your descriptions are wonderful. I feel like I've been to Paris & Provence! Oh Lucy Roberta, isn't French food amazing. I think the reason it is so good is that the ingredients are so fantastic. Eggs and butter don't taste the same way any place else. And DUCK FAT? OMG. In the sud-ouest everything is cooked in it. What a fabulous trip! When you went to Bordeaux, did you go any farther afield? Did you find St. Denis? Did you stumble across Bruno? This is the most spectacular thing ever! Wow, amazing! And yes, all that walking makes all the difference… Hmmm, can you come to my house? And show your newly found skills? Love love love this! I will bring the duck fat. sure Hank, I'll be over shortly! Lucy, what a lovely way to start my day! Now I'm off for my morning walk, dreaming of Paris and chocolates, art and croissants! thanks Flora, that sounds like a lovely dream! Thank you for sharing your trip with us. The closest I have been to Paris was a postcard that my father sent to me when he first traveled there. He had been unsure about going and asked my advice. I told him to go. This would have been his first trip back to Europe since WWII. Then he had traveled to Europe on one of those old transport planes which I think didn’t have some of the modern air pressurizations that have become the standard. In the postcard, he said, “Paris is great, David. You would love it. When I was a young boy, the Mona Lisa visited New York City on loan. We were taken from elementary school to see it as a class. There was a long line and we waited quite a while before having about 15 seconds in front of the painting. I don’t think we were quite old enough to really appreciate the work. I am not sure it was the same trip to the Met but I also remember as a young boy seeing the painting View of Toledo by El Greco. Copies of that painting, for sure, do not do justice to the original. I did revisit that work as an adult. As an adult, I was able to go to the Museum of Modern Art as a member. 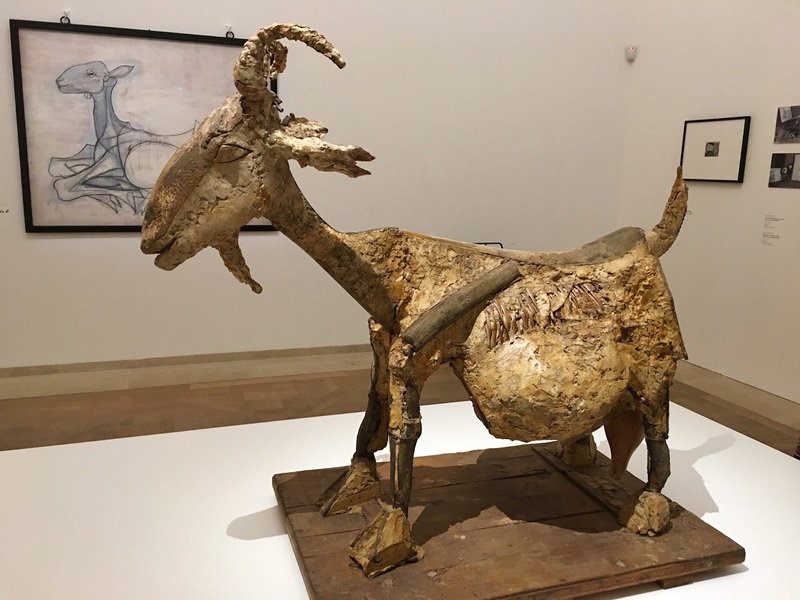 One year, that had a special exhibition of Picasso’s work. That time, I was able to spend quite a good bit of time looking at Guernica. France, Spain and Italy are on my bucket list. Sounds like a great bucket list, David, hope you get to all of them! I can remember a similar brief encounter with the Mona Lisa--hard to appreciate art in a big crowd. Yes, me, too on the Mona Lisa. A sort of "Hmmm. What's the big deal..."
One of the best parts of a trip for me is tasting all the food, so thank you Lucy for sharing! (This way, I don't have to worry about packing on extra pounds - although if a box of French chocolate showed up in my mailbox I wouldn't be sad). Lucy Roberta, I'm spring pea green with envy! What a fantastic trip you had. And all that luscious food, too! Especially the chocolates. Swoon. Thank you for the glimpse into your terrific trip. Paris just makes me drunk, period. Every single thing is so exquisite, down to the wrapping of a purchase at a shop. The eye does not stop, trying to take in the amazingly beautiful everything, everywhere. The French have such taste, in the main, don't they? For instance, the Musee d'Orsay. The building alone is a jewelbox of loveliness, aside from the incredible artworks it houses. Hard to believe it was once a train station. I love the light in that building, which is perfect for the art. And then Provence, too. On my bucket list. And the art of the food there goes without saying. I really think everyone should get to experience it, at least once in a lifetime. It changed the way I look at food forever. 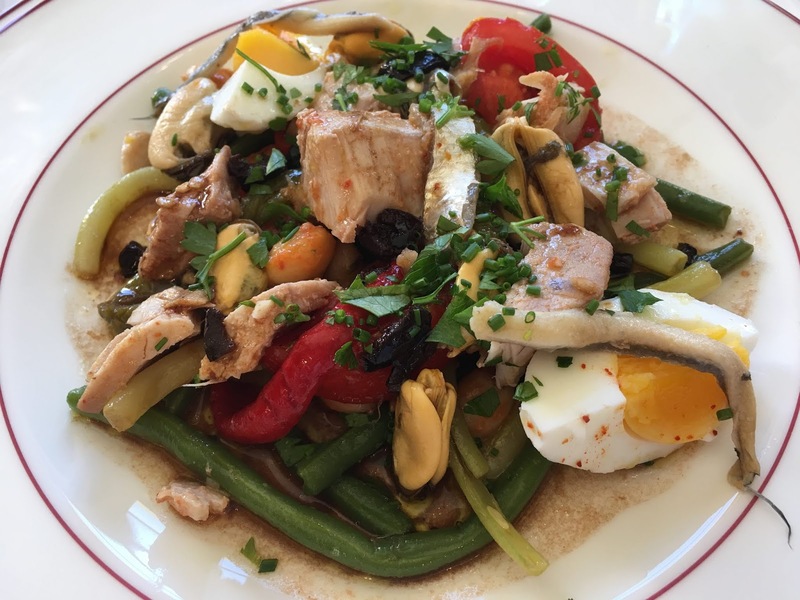 Our American guide in Paris said one reason the food is so good there is that it's fresh, local, and seasonal. You can taste the terroir because it's so nearby, and unique, as opposed to produce from factory farms all growing the same three varieties, all sprayed by glyphosate here in the States. The local and organic food movement here is helping with that, though, don't you agree? Yes I agree, the local and organic farmers make a huge difference here. And it was interesting to hear from David that he considers a lot of bread in the US to be as good as French. We are no longer a Wonder Bread nation. Though I have never tasted a baguette in the US that rivaled one in France. It is not the same animal. Bread is so much better here than it used to be. There's a farmer's market near me with a local bread vendor. I can almost never get there in time to get any because the line is nearly a block long some Sundays. They run out before closing time. Yes, we have bakery/pastry vendor at our farmer's market, too, and the line is usually twenty people long all morning. Debs, did you see that Ann Mah has a new book? It's about cooking French food in an Instant Pot-like electric pressure cooker. Ha ha Deb, I didn't wait for the plot to come--I plunged in and hope for the best:). I loved the Ann Mah book too, blogging about reading on Sunday. This would definitely not be a trip for a toddler! Karen, I did. I posted on her Facebook page that I might have to buy an Instant Pot just to have an excuse to get the book. Only problem is I don't have a place to put the pot. I loved tasting all this vicariously, Lucy. Potatoes in duck fat? That's why everything in France tastes so Goodall! Lucy, did you have confit duck while you were there? I've been reading about confit duck forever, and at the French cafe in St. Petersburg I finally had a confit duck leg with a warm lentil salad. I thought I'd died and gone to heaven. I came home determined to make it, but can't find duck fat that doesn't cost an absolute fortune! I'd like to know what the woman with the chocolates was saying. The video reminds me of reading Hercule Poirot books with all the French that I couldn't understand. It did not endear me to him at all! LOL Libby, if you listen to the end of that snippet, Jean-Pierre translates what she's told us. It's a new kind of chocolate made with sugar beets--those give it the pink tinge. It was delicious! It truly is amazing how foodies in France stay so slim. If I lived in Paris, I'd look like Nero Wolfe in two months time. You'd have to roll me along the Champs-Élysées. They walk everywhere, and they eat small portions, right, Lucy? that sounds great, I want to go to Ireland. Who organized your trip? Lucy, I'm so glad I stopped by this morning! I've been to the Musee d' Orsay. I remember the cheese shops, bread shops and chocolate shops in Paris. The only wine I liked in Paris was the Kir Royale. LOL. I was with a tour group and we were in Paris for only 2 and half days. We spent two weeks touring Europe. This was my first time visiting these countries, except I visited Germany once before. Great photos! I have been to Chez Panisse. Wonderful food, though it can be tough for someone on a lactose free gluten free diet. Diana, sounds like you should make a return trip to Paris! Lucy, I definitely will need at least a week or two to explore Paris! Lucy, what an amazing, wonderful, tasty, fabulous trip. I am so jealous but also inspired! Thanks so much for sharing! Lucy, I am gobsmacked by this amazing trip of yours! Wow! Your trip sounds amazing. Thank you so much for sharing with us! I was delighted to share with you all--thanks for the lovely comments. I realize how lucky I was to go on this trip, so I understand if you're green reading about it. I'm especially grateful as four years ago I was diagnosed with Meniere's disease and thought I'd never be able to eat good food again! Lucy, thank you for sharing. I have a in-law who has Meniere's disease and has a partial hearing loss from that. The actress, who played the Deaf daughter on the tv series (now on Netflix) Switched At Birth, has Meniere's Disease. When I saw you at Bouchercon in Toronto, you looked wonderful! thanks so much Diana, I feel so much better these days. I will rave about what my naturopath did for me to anyone who's willing to listen! Lucy: You just made my morning! What a wonderful post. I can slmost taste everything. I also love Paris and really want to go to Provence. Thanks for bringing a little piece home and reminging me. And, I really think you should have Haley Visit that houseboat! Merci Beaucoup! C’esr magnifique!